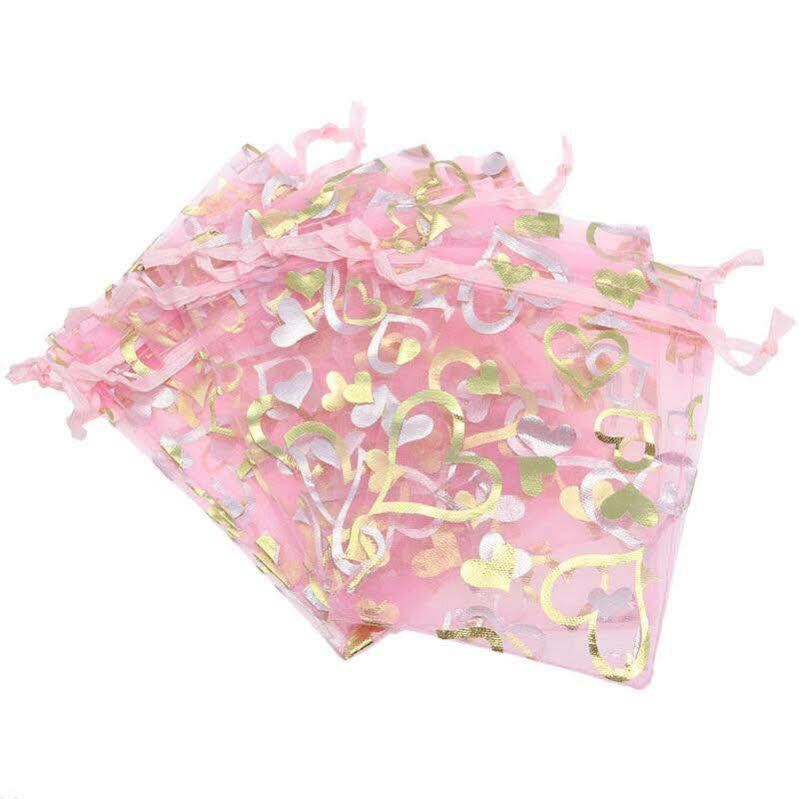 A perfect mess-free craft activity for a birthday party where the children make their own loot bags. 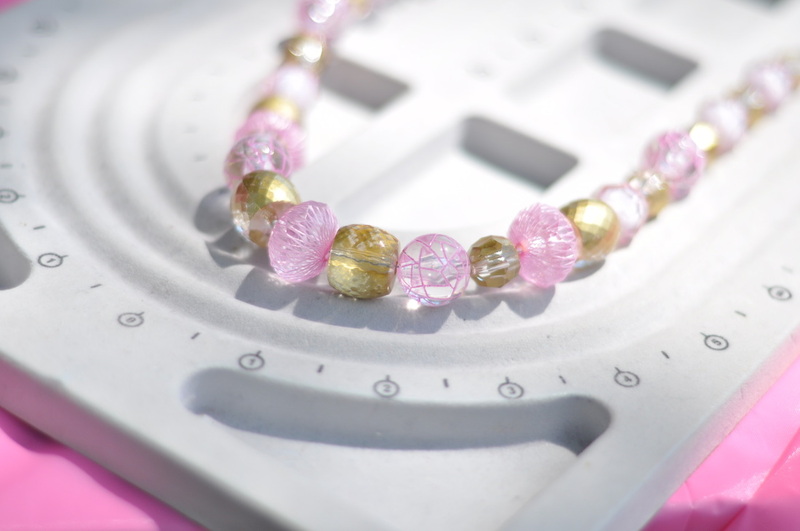 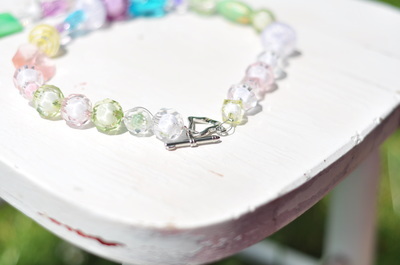 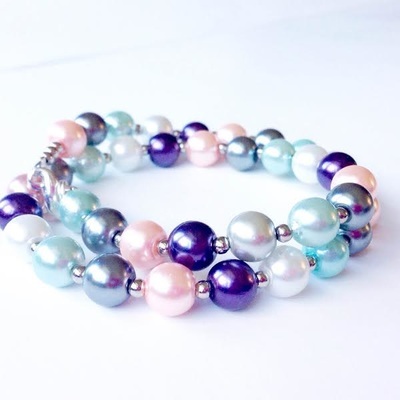 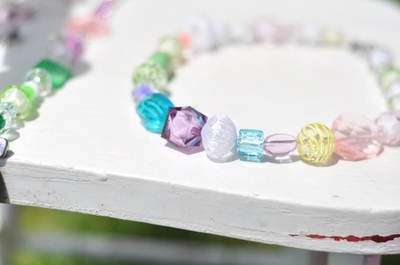 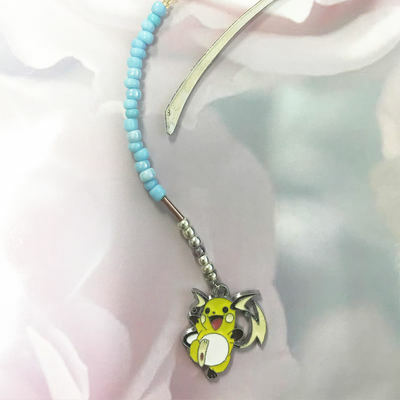 In this package children are taught to make a necklace using charms and glass pearls, acrylic, glass and glow-in-the-dark beads. 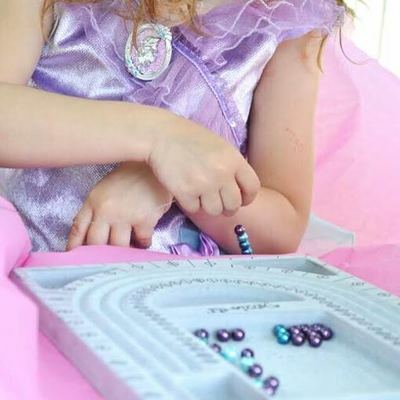 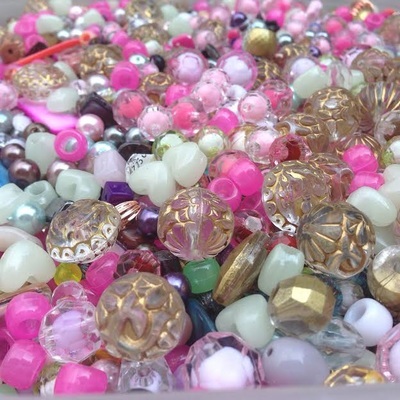 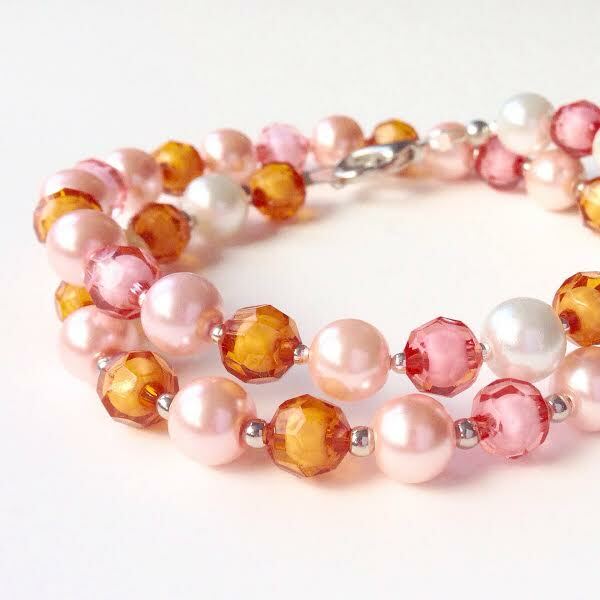 We bring thousands of different beads for the children to chose from. Using a special and very strong wire called tigertail and a gorgeous heart clasp, each participant is taught to design their own necklace. 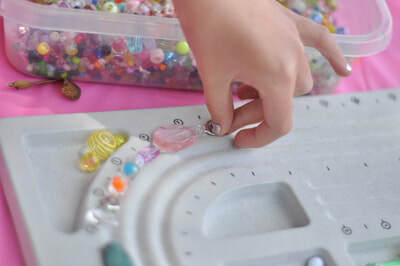 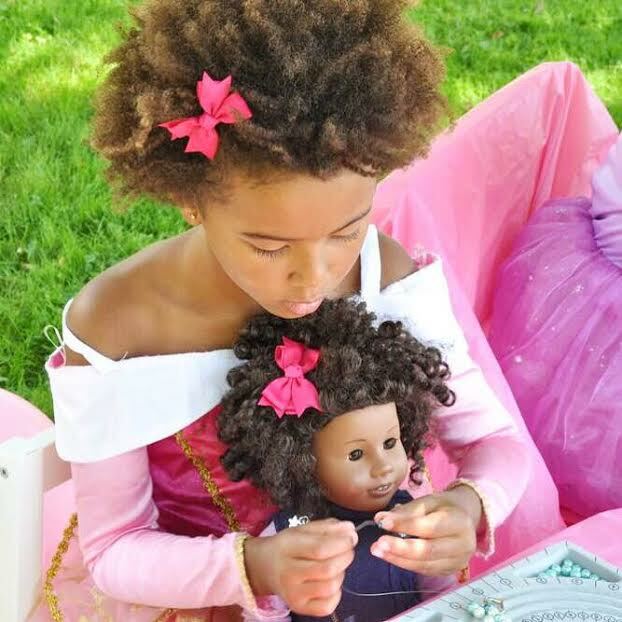 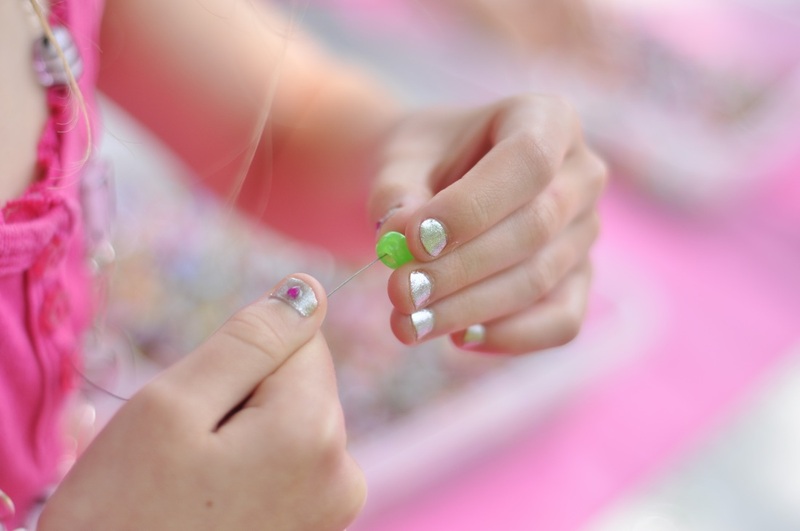 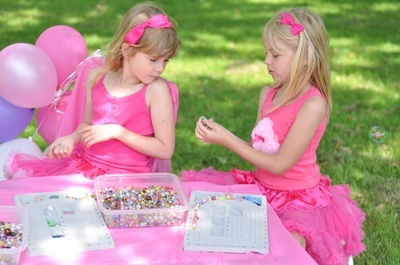 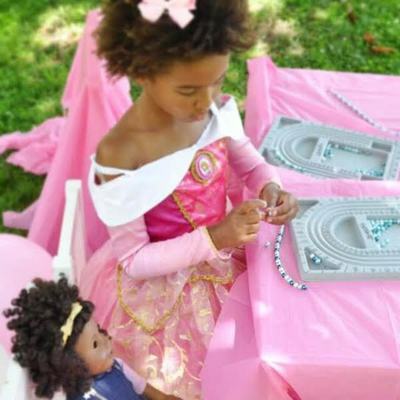 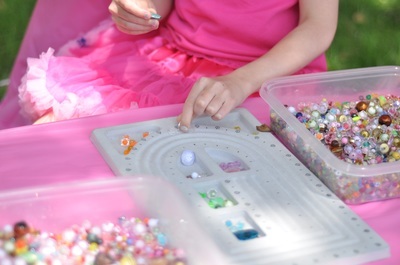 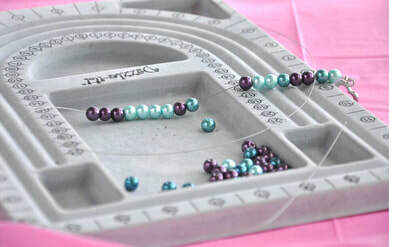 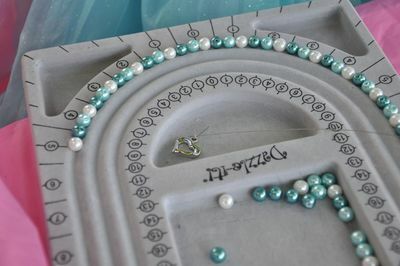 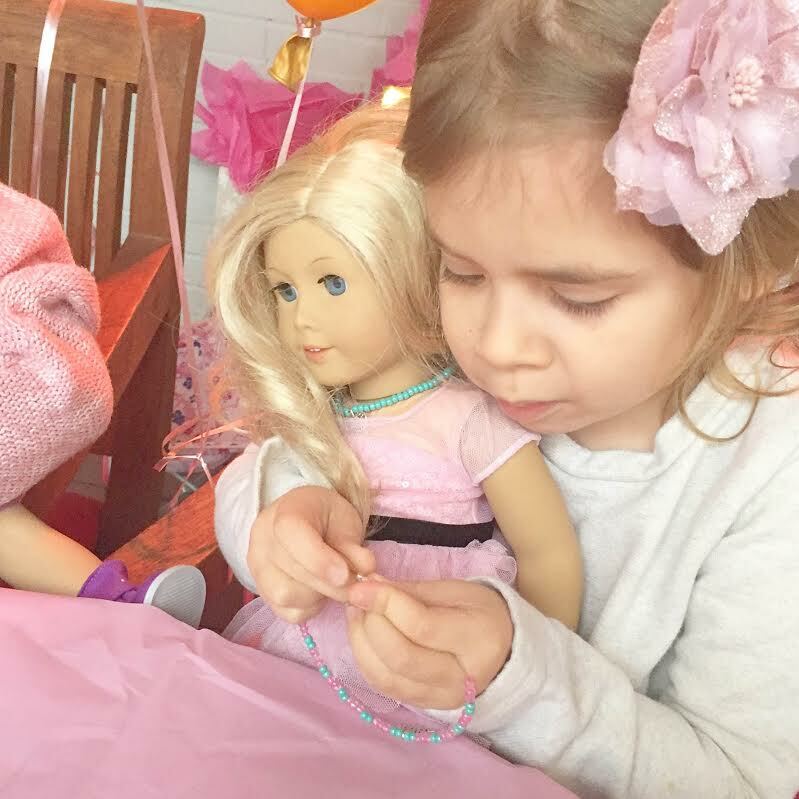 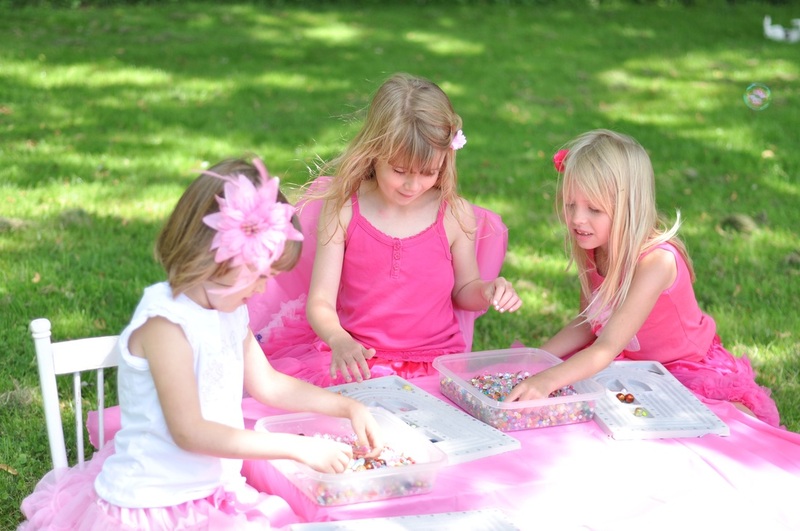 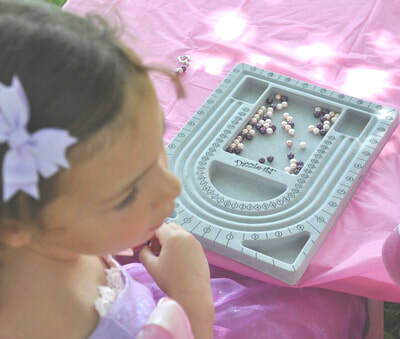 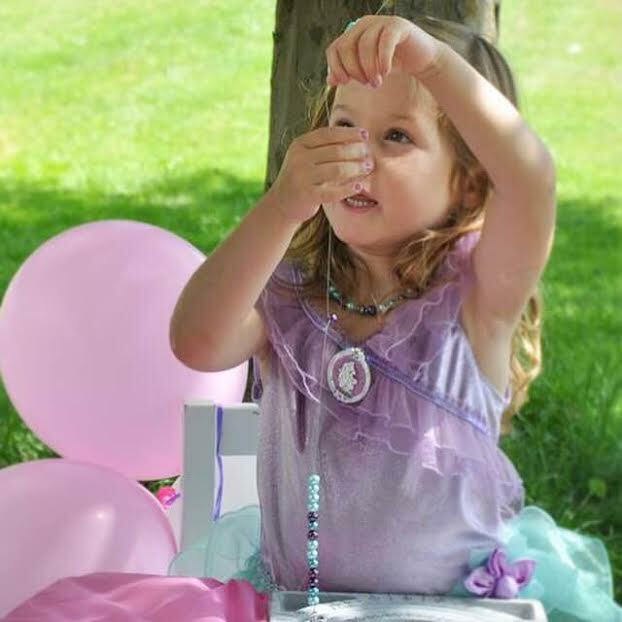 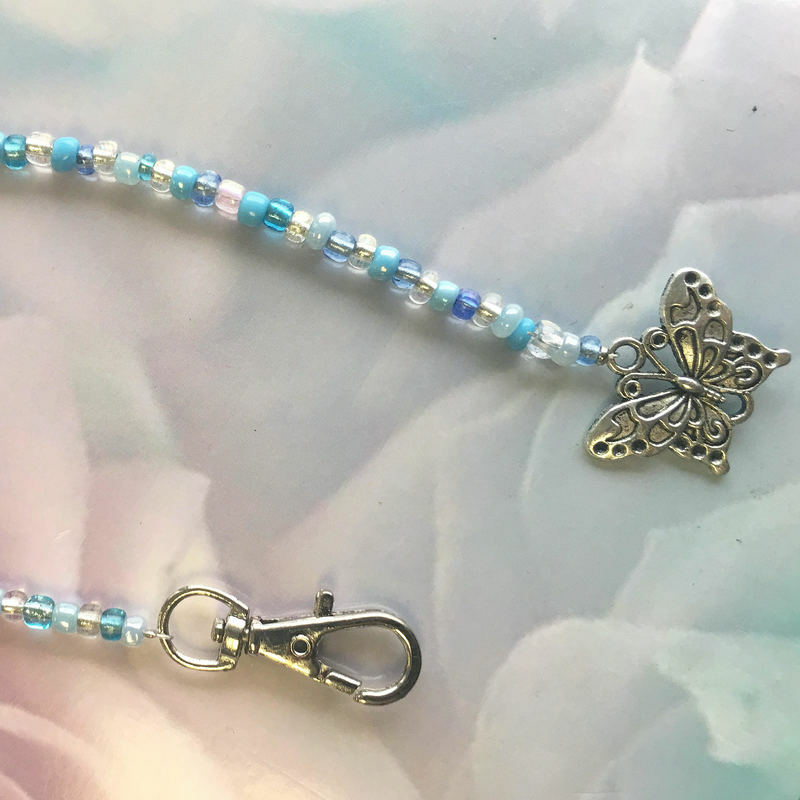 The package includes beading materials for a necklace, instructors for 75 minutes, special colouring activity, invitations and elegant jewellery storage pouch. 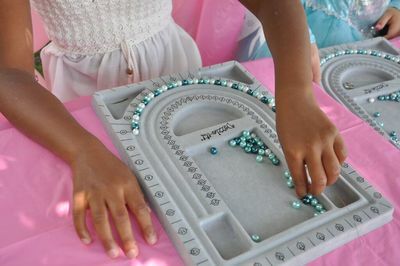 $170 plus hst for 10 children or less, $16 plus hst for each additional child.